Happy Hump day! I hope your week has been profitable so far. We’ve been working hard on getting a new product online, so we apologize for our absence. We will try and post at least once a week on our blog (we’re following our own advice). You have only a few seconds when a visitor comes to your website to engage them, your goal should be (besides selling them something) is to get them to want to come back and visit you again. The best way to do this is providing them with content that they can use / enjoy. We’ve talked about this before, but I think we need to review it again. When your starting / growing your web business you’ll want to post something on your blog at least three times a day. These posts need to be informative – DON”T try and sell them something every post you make. Think about the top 20 or so things that your customers ask you about. Start making a list. If you have more than 20, that’s great, if you don’t have 20 then you need to think. 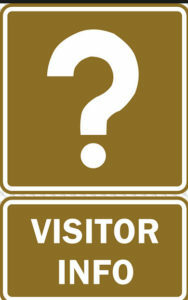 Think of 20 questions you can ask your visitors. People on Facebook and other social media sites love it when you ask questions. These questions should help you. Example – we’ll pretend we are a landscaper. This could be a question. Currently we have these plants in stock – what else could we add to our inventory to help you create a better garden. That does a couple of different things. It shows your prospective clients what you have in stock, it also gives you an idea for what new products to sell. From the answers you’ll create a poll – if you get some good answers to the questions. Pictures – for a week concentrate on taking pictures that relate to your business. Take at least 20 good pictures. Describe a product you sell in detail – 20 of these. Now create a media guide. You have enough content now to post on your blog for a couple of months. Every three or four weeks announce a sale.